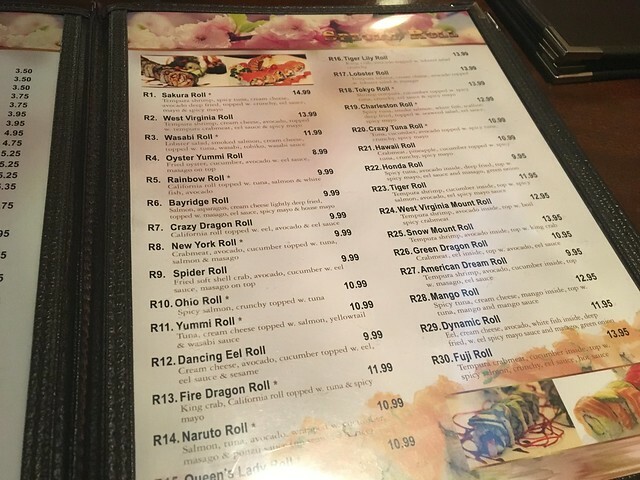 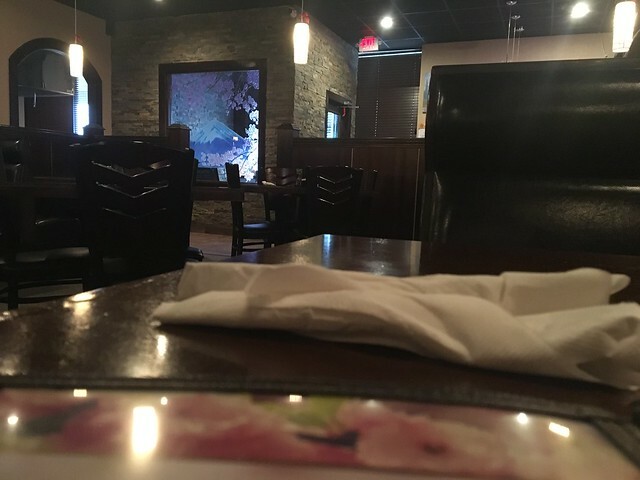 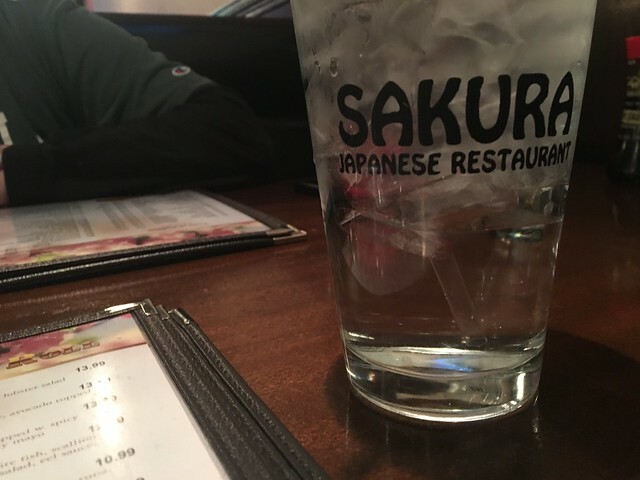 My good friend Tom and I were in the mood for some sushi, so we checked out Sakura in Cross Lanes for something different. 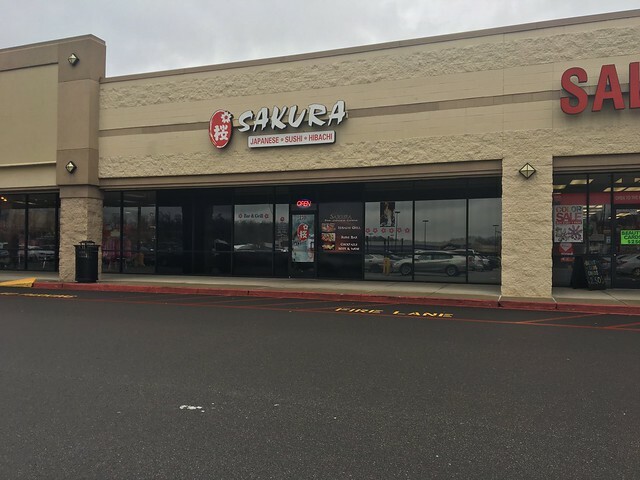 Sakura has a little bit of everything - hibachi, sushi, udon, etc. 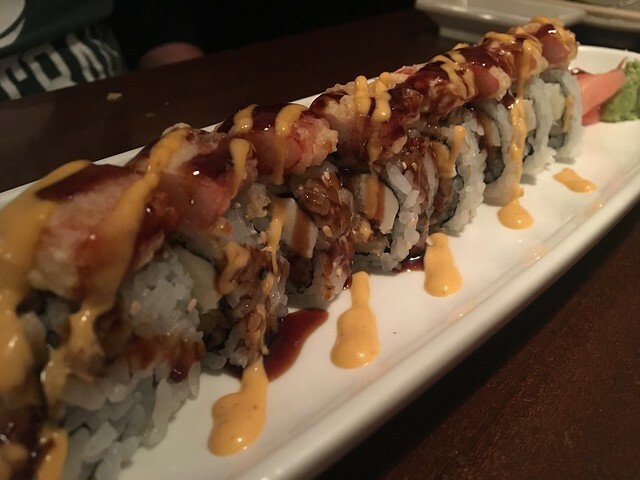 They have about 30 specialty rolls, but I decided to go with the namesake Sakura: tempura shrimp, spicy tuna, cream cheese, avocado deep fried and topped with crunchies, eel sauce, mayo and spicy mayo. 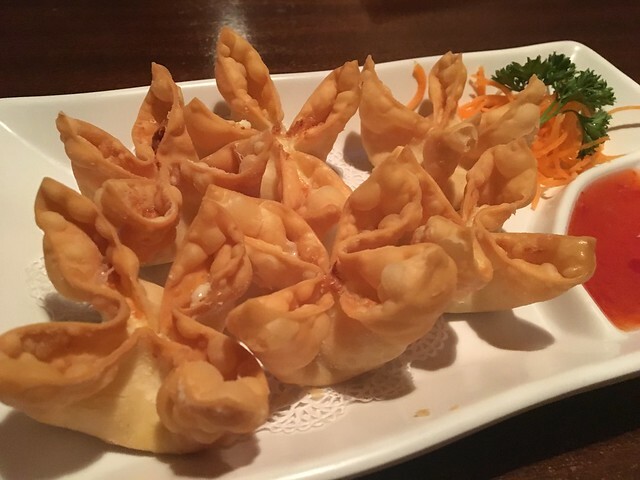 Crab rangoons are a must everywhere I go. 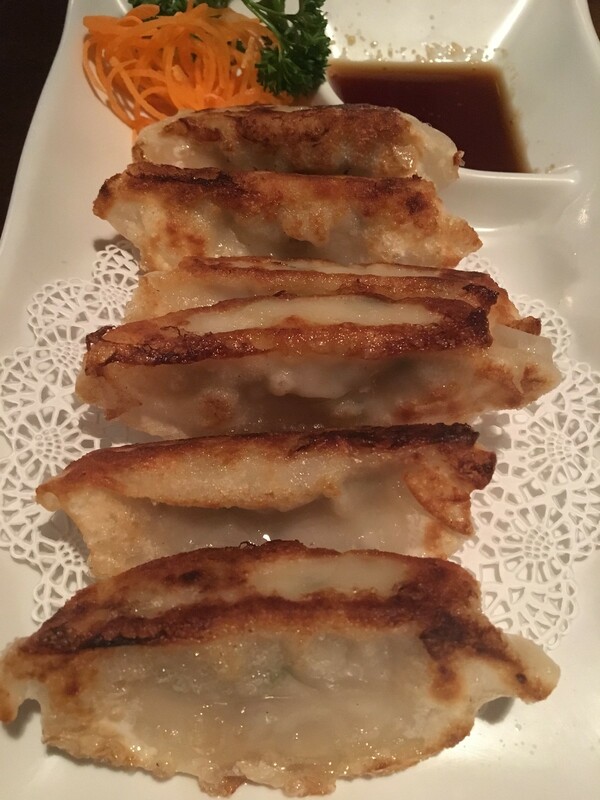 These were creamy! 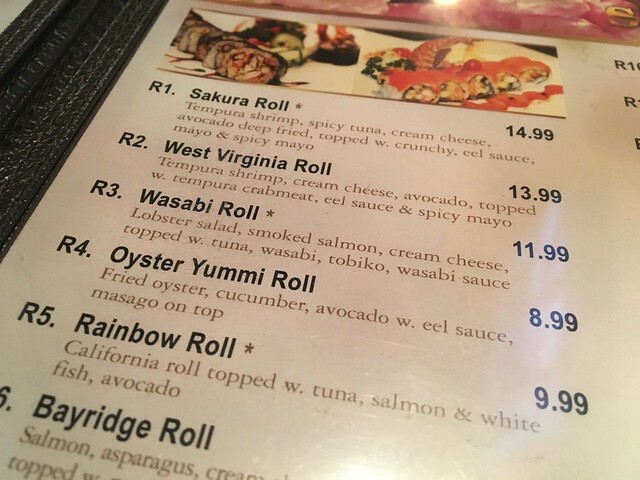 Sakura Roll is totally deep-fried. 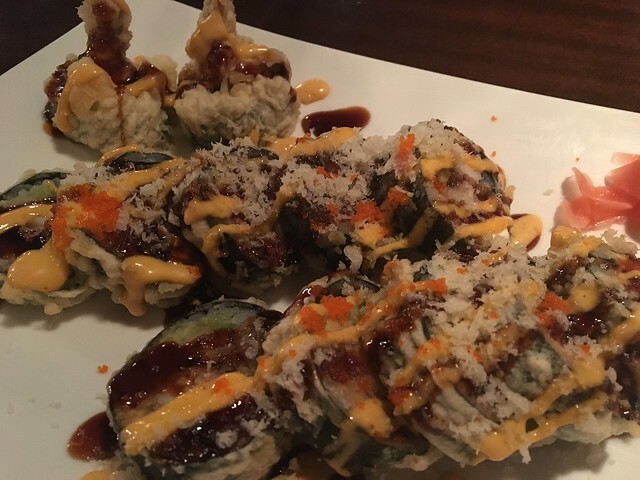 West Virginia Roll - tempura shrimp, avocado, cream cheese, topped with tempura crab meat, spicy mayo and eel sauce.